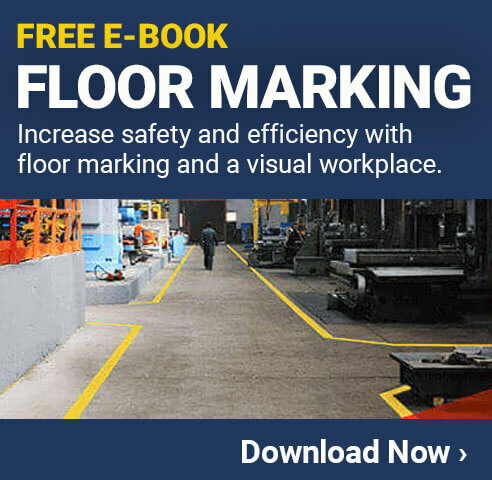 Most efficient organizations employ the use of floor tape to safeguard the safety of all workers and visitors. There are immense dangers in the workplace and if any were to occur they would result to huge losses in compensation and human resource. To ensure that that this does not happen and to improve upon the general efficiency in the workplace many organizations opt to use warning tapes. Needless to say, most construction sites and workshops are a hub of hazards. There are all kinds of dangers that occupants face. There is the hazard of falling objects, slippery floors, flammable liquids and malfunction of machines. These can result into injuries and even death. Floor tapes can be used to address this. There is no guarantee that the risks will be eradicated, but if used carefully, the various colors of tapes give adequate warning or caution to workers and to visitors. Most of the workshops and factory labs have restricted access. Only authorized personnel can go beyond a certain point and it can be a security risk if unpermitted persons are allowed to breach these restrictions. The conventional colors used are yellow and amber. When it comes to dangers posed by toxic wastes for example, yellow again is the most common color used. Although it may be combined by other color strips like black, yellow is identified with the need for caution. Fire fighting equipment on the other hand is identified through the use of red. Red is used to denote the location of the equipments as well as the escape route to be used. White tapes on the other hand are used in the control of traffic to ensure the safety of the pedestrians and motorists. A variety of strategies are also used to improve efficiency within an organization. The basics of lean manufacturing state that it should only take less than 60 seconds for a visitor to a certain organization to get a grasp of the location of key departments and the progress of the various processes. Be it the use of a foam tool organizer to control tools use or the use of label markers to ease identification, effective utilization of the floor tapes can assist an organization. An organization can be complex but if well mapped out and various strategies are employed to create order, operations can be easily carried out. The various processes and levels of productions can have different color codes to differentiate them. This will not only be helpful to visitors but also to the top managers. The color codes are internationally recognized and can be used to create consistency. These colors hence can be appropriately used to create order and to relay the intended message to the workers. The choice of the color to be used should closely match with the established conventions for ease of understanding. Using non-conventional colors might result to ambiguities and inconsistencies. Previous post Get Lean with Pizza?